Call it voting with your dollar. If there's ever a time for Portland to practice what we preach about going local, it's when we spend our hard-earned dollars. Call it voting with your dollar. It's not hard, really. There are 368,308 small businesses in Oregon, according to the U.S. Small Business Administration Office of Advocacy. If that weren't enough, Little Boxes, Portland's annual holiday shopping event, makes it even easier. Now in its eighth year, it has over 200 participating local businesses, offering special deals, discounts and raffle prizes for locals and tourists alike. Founder Betsy Cross started Little Boxes in 2011, with just 90 participating shops. 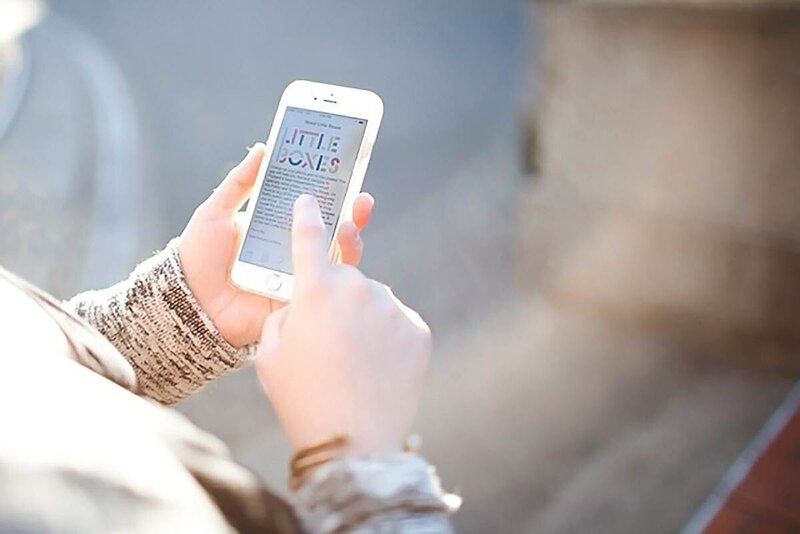 In 2013, Paul Jungwirth helped develop the Little Boxes website—and this year, it's finally launched an app. Here's how it works: Shoppers earn raffle tickets for chances to win prizes. Every time you simply visit a shop participating in Little Boxes—easily spotted by a poster hanging near the entrance—you get one raffle ticket. The shop gives you a code to enter in the Little Boxes app to claim your ticket. When you purchase something at a participating shop, you begin accumulating bonus entries. On your fourth purchase, for instance, you get an additional 15 raffle tickets, giving you a better chance to win a prize. This year, the grand prize is a vacation valued at $2,000. Additional prizes include four Thorns tickets, with an official Timbers signed jersey, and gift certificates from shops like With Love From PDX, Kids at Heart Toys, Beanstalk Children's Resale and many more. But Little Boxes isn't just for crossing off names on your holiday gift list by shopping local and winning prizes. It gives Portlanders and visitors the initiative to explore the city and discover new neighborhoods they otherwise wouldn't have checked out on their own. Stephanie Yoo, a manager at Tilde in the Sellwood neighborhood, points out that with so many new people coming into town who don't necessarily know other neighborhoods, it's a great way to discover new businesses. "The map is a great option on the app," she says. The map provides a guide to the various neighborhoods and businesses in town making it user-friendly. Although this is the eighth annual Little Boxes, there are still many new participants joining the event. One newer shop on the roster is Maripol, located on Southeast Division Street. This will be its second year participating in Little Boxes, having opened in September of last year. Even as a new shop to the neighborhood, co-owner Chase Hart says he noticed a "big uptick in traffic" during last year's event. Since it's an event with a "local focus on a tourist street…it literally brings people into the store," Hart says. "It's awesome." Also on Division is Carter & Rose, a gifts and handcrafted goods store, and participating Little Boxes shop. Taylor, an employee at the shop, says the three-day weekend event went well last year and "brought in new faces" allowing Carter & Rose to "showcase to new customers what we are all about." "We're grateful to be part of the Little Boxes project," Taylor says, "and excited for future Little Boxes to come." MORE: Little Boxes runs Friday-Sunday, Nov. 23-25. For more information and a complete list of participating stores, visit pdx.shoplittleboxes.com.